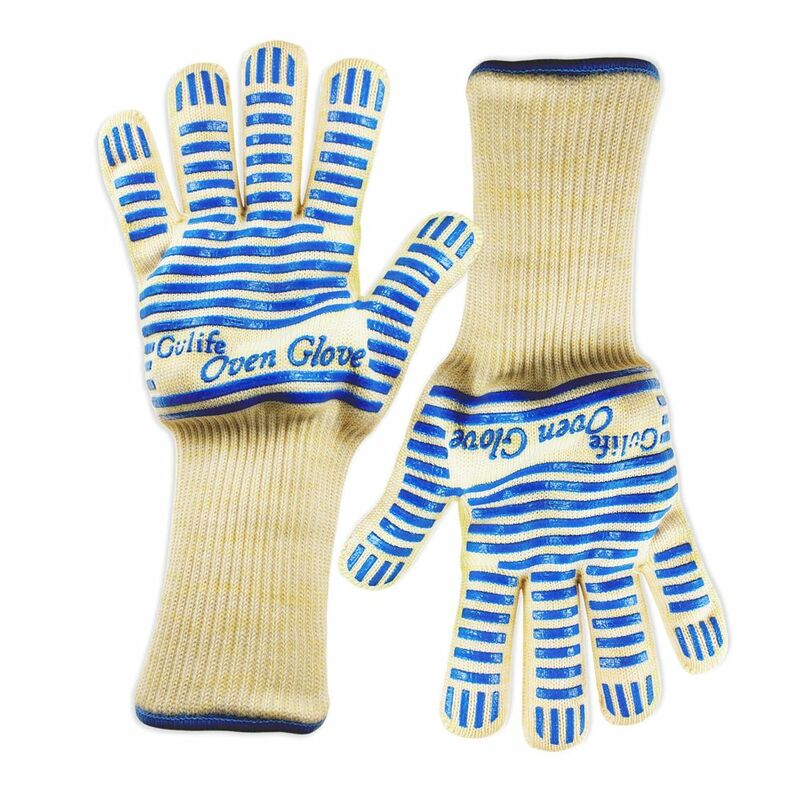 TOP Class Gülife® oven glove is the perfect solution to give you peace of mind when cooking. * Withstands extreme heat up to 662F over 15s. * Large interior size and soft inner material. 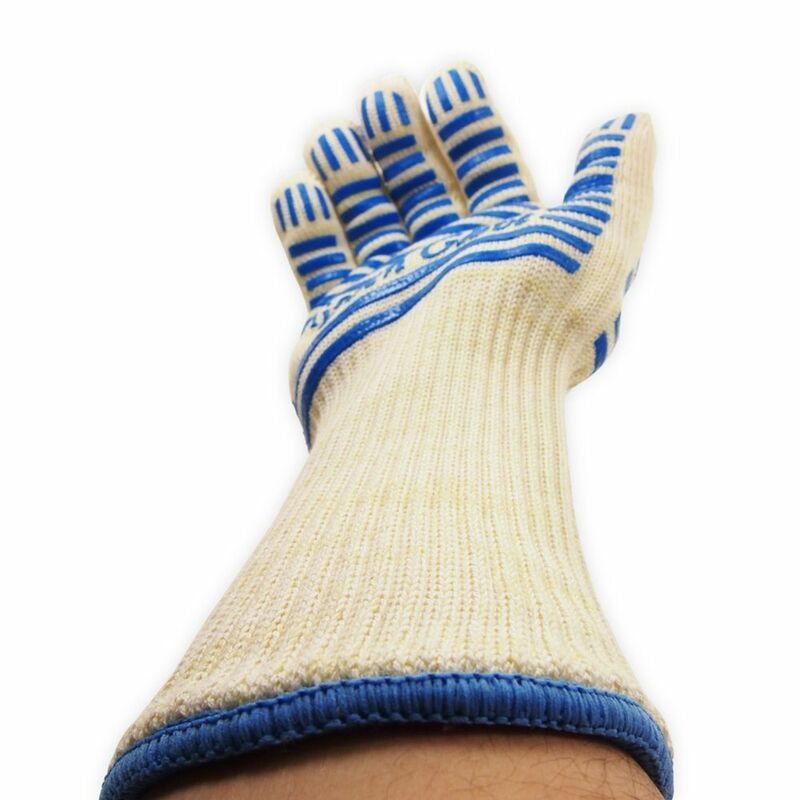 * 5-Finger flexibility and Seamless design with non-slip silicone grip. 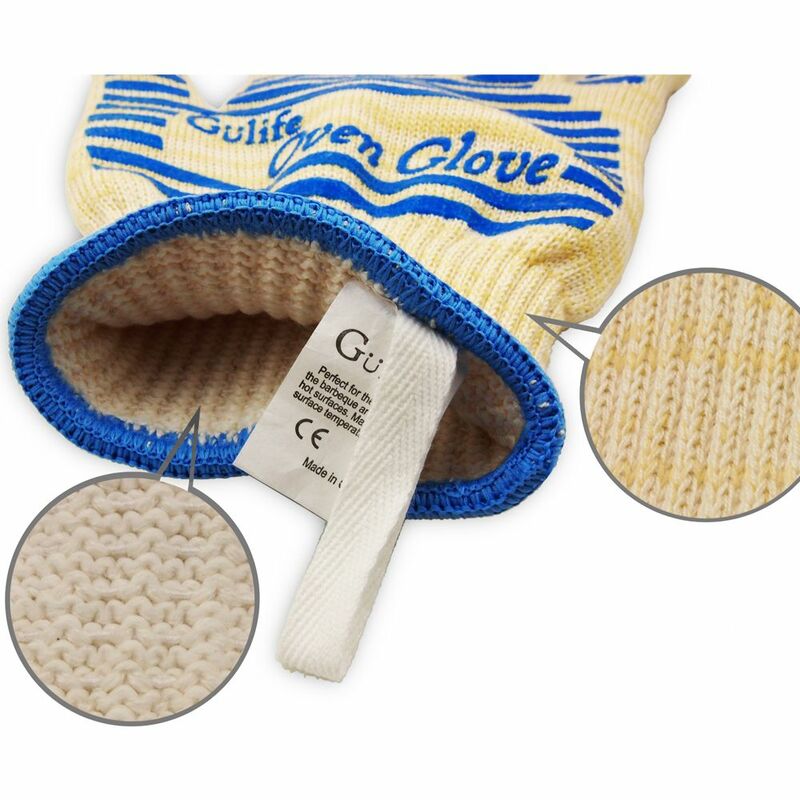 * Can be worn on left or right hand and covers up to your wrist. * Easy to store with hang rope design. Please use ordinary mild detergent and air dry. Do not use bleach. Bleach will degrade the performance of our aramid fibers. 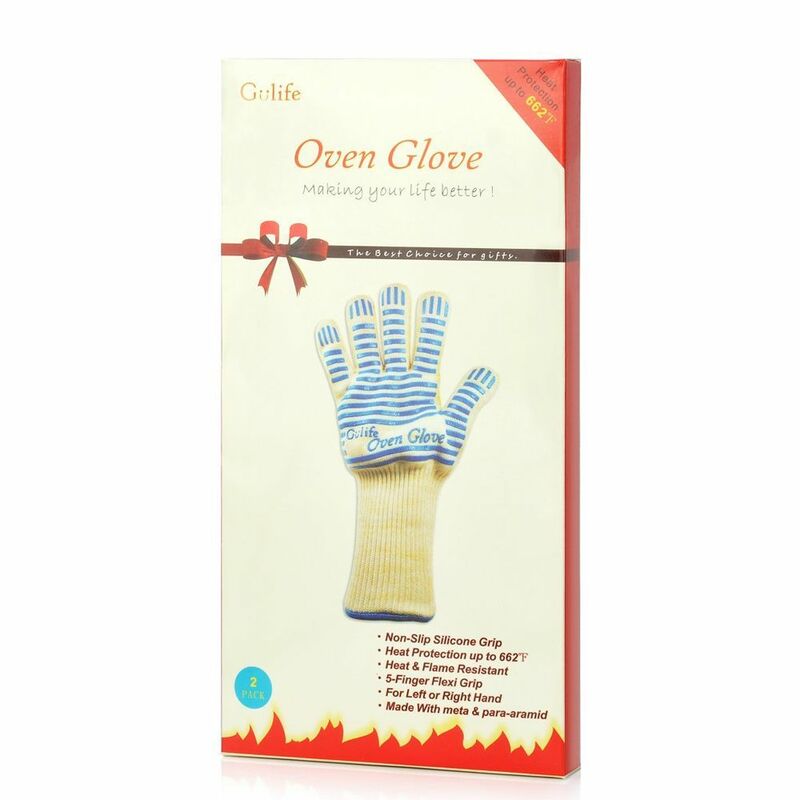 Do not use if glove is wet or near heat emitting steam. Not waterproof. 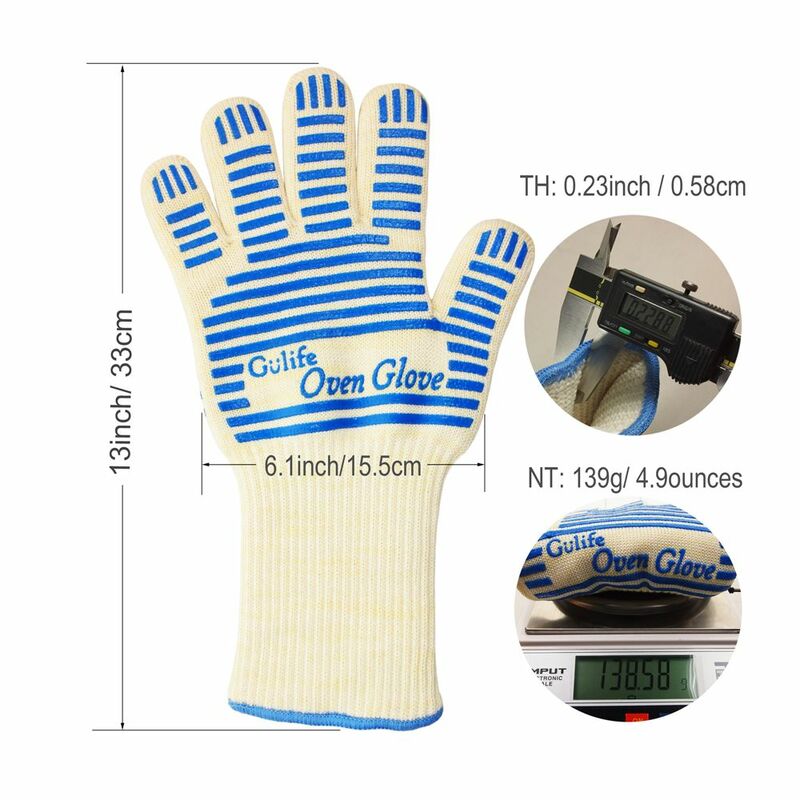 Check glove whether damage or heavy wear each time before use. If did, do not use. 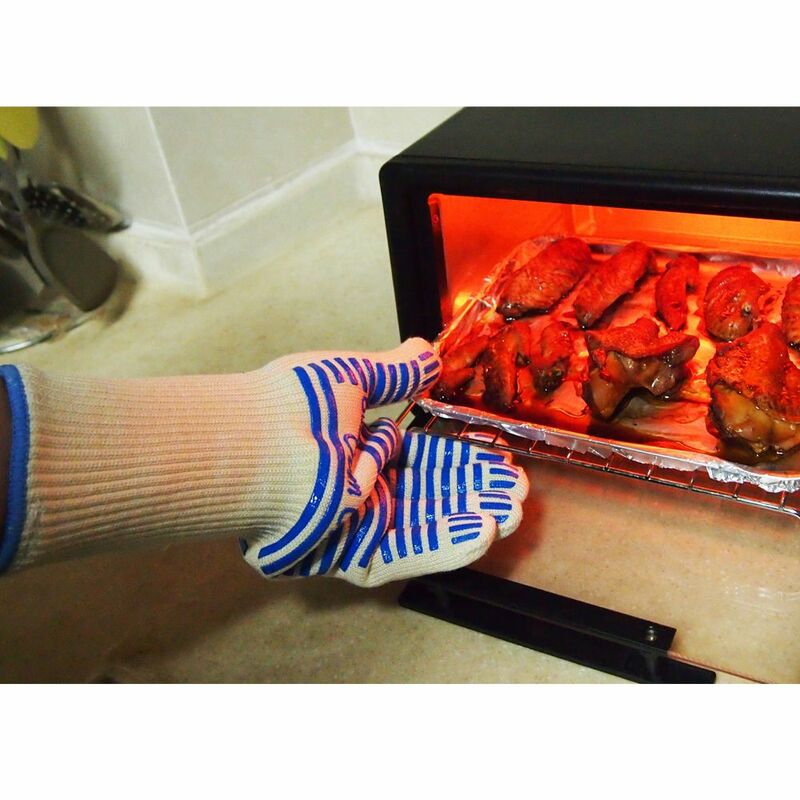 It is not a permanent protection against fire or heat.